If you’re interested in a coffee table book of similar photos from Menzel you might want to check out the book What the World Eats. Tags: caloric intake, calories, Dose, Faith D’Aluisio, food in a day, Peter Menzel, photos, what people eat, what the world eats | Permalink. Big News: “Water not a ‘magic bullet’ for weight loss“. While I don’t dispute any of the information presented in the article, I do take issue with a major fact that is not presented in the article. The article states that the vast majority of research has shown no increase in weight loss for those who consume more water versus those who do not. Drinking water does not increase caloric burn. The article also dismisses the pervasive myth that beverages such as coffee do not contribute to overall hydration – YAY! All true. The article then quotes the RD as saying, “if you don’t like water it’s OK.” The idea is that you can obtain your hydration from other beverages (and foods). While absolutely true from a hydration standpoint, I think that this statement does a disservice to those who are attempting to lose weight. While I’m sure it was not her intent, I think that this could easily be interpreted to mean that it’s fine to choose beverages such as juice, pop, and coffee with sugar and cream rather than a glass of water. Yes, these will all hydrate you, however, they will also add non-satiating calories to your diet. If you drink just one 8 oz glass of orange juice, one 12 oz can of Coke, and one medium double-double (sorry, non-Canadian readers) a day you’ll be adding 458 calories to your daily intake. Compare that to zero calories from three glasses of water. Obviously weight loss is not as simple as replacing caloric beverages with water (or non-caloric beverages) but that can certainly be a part of it. To suggest that all beverages are equal is untrue and misleading. Water doesn’t boost your calorie burn but it can minimize your overall caloric consumption if you replace caloric beverages with it. Tags: beverages, calories, hydration, nutrition, pop, water, weight loss | Permalink. 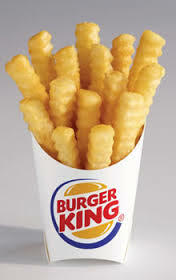 I’m sure you’ve heard about Burger King’s new “Satisfries” by now. They’ve been all over the papers and my twitterfeed and chances are, two days later, I’m the last dietitian to blog about them. But even if the topic’s been blogged to death how can I not address it? I said that the Satisfries are slightly less unhealthy because, despite what BK would like you to believe, they are still not actually healthy. They are still deep-fried potatoes. How did they reduce the fat and calories? Apparently they changed the proportions of the breading they use on the potatoes so that they absorb less of the oil in the deep-fryer. Awesome. Because we all love secret breading recipes on our fries, right? They still don’t have much in the way of nutrients other than calories from simple carbohydrates and fat. They have no vitamins to speak of and the only real mineral is about a third of your daily sodium. I also started having visions of the fat-free frenzy in the 80s, and the current sugar-free and gluten-free frenzies. Did the reduction of any of these nutrients in the food supply have any effect on the obesity rates? Is our population any healthier as a result of these initiatives? Nope and nope. All it is, is clever marketing by companies to have us feel better about the crappy food they’re peddling. Odds are, as with the other initiatives, if one orders these Satisfries they’ll end-up over-indulging in something else and undermine their efforts to eat better. The Satisfries will sit on the tray, just like the diet pop, with the 1, 250 calories Triple Whopper with Cheese because, after all, they’re having the healthy fries. As far as efforts to curb obesity rates go, reformulating processed food is going to do little or nothing. What we really need is a complete overhaul of the current food and education systems, as well as our physical environment. My final issue with these fries is the implication of the name. What exactly about a french fry with fewer calories and less fat than a regular fry makes them satisfying? Wouldn’t they be less satisfying than regular fries? French fries, unless they are oven-baked from whole potatoes with olive oil and spices, are undeserving of a health halo regardless of how you slice (or bread) them. 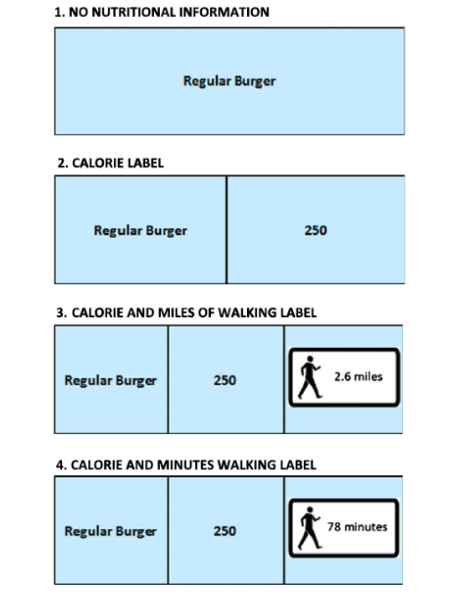 Tags: BK, Burger King, calories, fat, health halo, healthy eating, obesity, Satisfries, weight loss | Permalink. The Best Part of Wakin’ Up…is BUTTER in Your Cup? I recently learned about the latest diet craze: butter in coffee from Lindsey Schnell, a fellow RD whom I’m friends with on twitter (you can – and should – follow her too: @healthyhausfrau). Naturally, we agreed that it was an ill-conceived idea, nutritionally. Flavour-wise I was reluctant to ruin a perfectly good cup of coffee by adding butter. But, for the sake of science and so that I could speak from experience, I stirred a little bit of butter into my morning dark roast. As I was a wimp, I only added about 1/2 teaspoon and didn’t notice much of a difference aside from a greasy sheen to the surface. In case you’ve been wondering, the rumors are true: people are now cramming butter into their morning cup of coffee in an attempt to burn body fat, gain focus, and improve their brain function. This is the idea anyway behind “butter coffee,” which got started recently thanks to a coffee company executive and has been gaining popularity. As a dietitian, little surprises me anymore with diet and food fads, but I am always curious about their origins, the benefits being touted, and if there are any grains of truth to what is being claimed. Like other diet fads, spiking your coffee with butter has a defiant air—almost akin to the archetypal rebellious teen testing his wardrobe and behavior boundaries for effect. And, not surprisingly, the seemingly wacky combination itself of coffee plus butter is a big part of this fad’s “unconventional” appeal for some. Nevertheless, I wanted to find out what this diet fad was all about, taste it for myself, and most importantly, determine if the purported health and weight loss benefits were even plausible. Ready to wake up and smell the buttery coffee? How did the butter-coffee get started and what exactly is it? Interestingly, adding butter to coffee has been part of some cultural traditions for centuries. According to historical accounts, cultures in Ethiopia melted butter into coffee to increase the beverage’s nutrient density as well as add flavor. A similar concept, yak butter tea, is a daily beverage in Tibetan life, where subsistence farming and nomadic herding are common occupations—undeniably, putting extra caloric energy and fat into tea makes sense if your days include very intense physical labor. But does an unnecessarily high-calorie morning drink seem sensible for Western cultures, where many people aren’t adequately physically active and actually need to lose weight? Apparently, it made perfect sense for Silicon Valley investor, entrepreneur, and coffee company executive Dave Asprey, who took the idea of this energy-packed traditional beverage and “upgraded” it into a business money-maker—“Bulletproof Coffee.” His concoction struck a chord in the hearts of low-carb and paleo diet crusaders alike (many who shun all sugar and dairy—except, conveniently, butter), since their diets are largely composed of animal protein and fat. So what is butter in coffee supposed to do for you? Is it the magic elixir we’ve all been waiting for? It seems to be—according to Asprey, that is. The list of supposed benefits is pretty fantastic! Convinced yet? I didn’t think so. Making your coffee “bulletproof” is no sleepy walk to the coffee pot, either. The standard recipe version requires several precise ingredients that, after grinding your coffee beans and brewing the coffee, need to be mixed in a high-powered blender until foamy at the top. All this before your first cup of joe! Dave Asprey’s original Bulletproof recipe contains about 2 cups of coffee, 2 or more tablespoons of grass-fed butter, and 2 tablespoons of his company’s MCT (medium chain triglyceride) oil. Asprey’s primary version will cost you upwards of 460 calories, and provide you with approximately 51 grams of fat (43g saturated fat). Ouch. Simplifying the ingredient list a bit, another common butter coffee recipe calls for just 2 tablespoons of grass-fed butter and no MCT oil. But even this “skinnier” version will cost you about 200 calories and provide you with 23 grams of fat (about 15g saturated fat). Other recipe versions will leave your kitchen counter looking like a disaster zone when you are done! Alright, so we know what butter coffee is. Does it have a place in a healthy diet? First, let’s talk about the obvious elephant in the room—that huge amount of saturated fat. If you are up on your low-carb and paleo diet dogma, you probably are aware that saturated fat (from butter, coconut oil, meats, cheese, eggs, etc) is pretty much synonymous with “the healthiest nutrient EVER.” Wait. What? Haven’t studies for the last 50 years found again and again that saturated fat is less optimal than the other unsaturated fatty acids? The answer to this question is yes. And the majority of research available still concludes that intake of saturated fatty acids is positively associated with higher total and LDL (bad) cholesterol levels, increased risk of heart disease, increased markers of insulin resistance, and increased risk of type 2 diabetes. While a recent analysis of studies seemed to indicate that saturated fat may not be as devilish as we once thought, this fat hardly deserves an angelic status just yet. Because the science for single nutrients is complex and often contradictory, as has been the case with saturated fat, the waters are usually left a bit murky, invariably opening the floodgates for controversy. Nevertheless, the vast majority of expert committees STILL contend that we would reduce heart disease risk by keeping our saturated fat intake below 10% of total daily calories. Bottom line here: fat is essential for good health, it’s tasty, helps us feel full, and you can even eat a whole bunch of it without getting fat (if you stay within your caloric limit). Are saturated fats dangerous poisons that should be avoided at all cost? Absolutely not. But, as with just about everything, moderation goes a long way. At issue next is what happens if you take a coffee company executive’s advice and swap your old-fashioned food breakfast for Bulletproof coffee: more than likely, you will be doing yourself a serious disservice. Relying on butter coffee for your breakfast nutrients is highly unbalanced (would you like fat, fat, or fat? ), and it takes the place of other, much more well-rounded breakfast options. In general, drinking our calories is unfavorable and has undoubtedly played a role in our current obesity crisis (sugary soda, anyone?). And, while calories alone are far from the only thing to consider when framing your healthy diet, they DO count for weight control. If you have butter coffee in addition to your favorite breakfast, you are setting yourself up for weight gain if those extra calories aren’t shaved off elsewhere. Indeed, if you must have butter coffee, I would strongly caution against the 460 calorie version (unless you are going trekking through the Himalayas after breakfast!) and suggest you try my “Bummerproof” way to enjoy butter coffee: only add a modest 1 tablespoon of butter. Because this version is much less calorie-intense, it leaves room for you to add some healthy carbohydrate, protein, and better fats to your morning meal. I do think buttery coffee can certainly have a place in a healthy diet, if you really enjoy it, but you need to be mindful of the extra calories and don’t expect weight loss. Are there any supplementary health benefits to putting butter in your coffee every morning? If anecdotal evidence is your thing, then maybe. The energy-boosting and laser-beam mental focus claims of the butter/MCT oil/coffee blend is most likely a placebo effect—there is no evidence that this particular food combination or the faster digestion of MCT oil compared to other fats is a brain energy booster. How about those fat-burning claims? I won’t mince words here: putting butter into your coffee is not a magic weight loss elixir, and drinking Bulletproof coffee will NOT independently cause you to lose weight. Asprey and his butter coffee-believers also claim that flooding your coffee with butter will simply make you “feel better.” Asprey goes on to explain on his website that, “If you’re like most of my friends who try this, your body is so starved for healthy fats that you feel like you can’t get enough.” There might be a very tiny grain of truth here, pending one condition: if you are actually malnourished and NOT getting enough calories, let alone fat in your diet, butter in your coffee should help you feel A LOT better (however, this applies to nearly no one in the modern, overfed world). The last claim is that butter-infused coffee will help you feel more full. I do agree that you would feel pretty full after consuming 23-51 grams of fat—fat is well-known for its satiety-promoting effects. Alas (we found one! ), this claim is likely true. Finally, how does buttery coffee taste and did it “work” for me? Sadly, I was decidedly unimpressed overall with butter coffee. Tastewise, I didn’t sense any amazing improvement—it was still coffee, with a slight buttery flavor. Although it was definitely more creamy than my usual black coffee, even that did not increase my affection for the beverage. And what about my mental state after drinking butter coffee? As it turned out, my focus and energy was so enhanced that I went and took an hour-long nap. Well, bummer. As we’ve learned from the countless diet fads of yore, when something sounds too good to be true, it probably is. 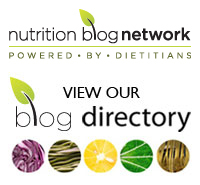 Tags: Bulletproof coffee, butter in coffee, calories, fads, healthy eating, nutrition | Permalink.